In the present scenario, professionals have become very particular and conscious about there working standards and surroundings. Be it a workshop, industry, home or any other application area, setbacks are not acceptable, but are unavoidable too. Temperature differences, instrument failure, heat loss etc, tend to impose operational challenges. Facility owners and managers have successfully tried to curb down these hindrances by implementing Thermal Imaging techniques using a Thermal Imager or Thermal Camera. Thermal cameras are devices that translate thermal energy (heat) into visible light in order to analyze a particular object or scene. Though this instrument has proved out to be the ultimate solution for any application/facility, yet it costs premium to offer the services. Considering the high cost involvements in procuring a thermal camera, Testo has taken a step ahead to provide the same high resolution thermal imaging, for which Testo is known, at a considerably low cost. The NEW testo 869 with a wide field of view is light on pocket and can be easily and intuitively operated. This allows heating, air conditioning, ventilation installations or electrical switching cabinets etc, to be tested quickly and easily. Critical temperature conditions are directly displayed using automatic hot-cold-spot recognition. The pro software for image evaluation on a PC is new in this price class. Optionally, thermal images can also be saved directly in the instrument as a JPEG and sent on site. This pocket friendly approach to facilitate the governing and operation of thermal imaging would surely be of great help. Log on to our site www. testo.in and book your free demo now! Almost every industry requires the measurement of certain parameters to keep the processes running. However, the traditional way of measuring various parameters requires a lot of time and effort as the person needs to physically take the measurement by taking the measuring instrument at the measurement location. Furthermore, in case of report generation, some additional time and effort is required as the technician needs to carry the measuring instrument back to his workstation and download the measurement readings and accordingly generate the reports. The smartphone makes our day-to-day life easier in almost every aspect. Taking this thought as the idea, Testo decided to integrate the feature of smart working into measurement tasks as well and the result is eight compact measuring instruments which can be connected to the smartphone or tablet via Bluetooth, and conveniently and intuitively operated via App. Despite their small format, the Smart Probes are equipped with the market leader's customary pro measurement technology, and are suitable for all important temperature, humidity, pressure and flow velocity measurements. The new Smart Probes from Testo are the ideal entry-level instruments for contractors with an enthusiasm for technology and also for measurement professionals need frequent measurements and report generation. Log on to our site www.testo.in/smart-probes and book your free demo now! IR thermometer or thermal imager? Thermal imager or infrared thermometer – when is which worthwhile? 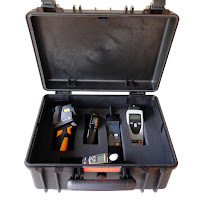 overview of measurement objects, then you can rely on the thermal imager testo 875-2i. monitoring moving components in plants. 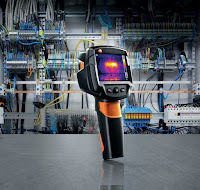 measurement objects, or if you do not know beforehand where exactly in a system mechanical loads can reach a critical stage, then choose the handy thermal imager testo 870 whose functions were specially developed for use in industrial maintenance. and telephoto lens for precise distance measurements. from testo 835-T1 as it can measure temperatures up to 1500 °C. 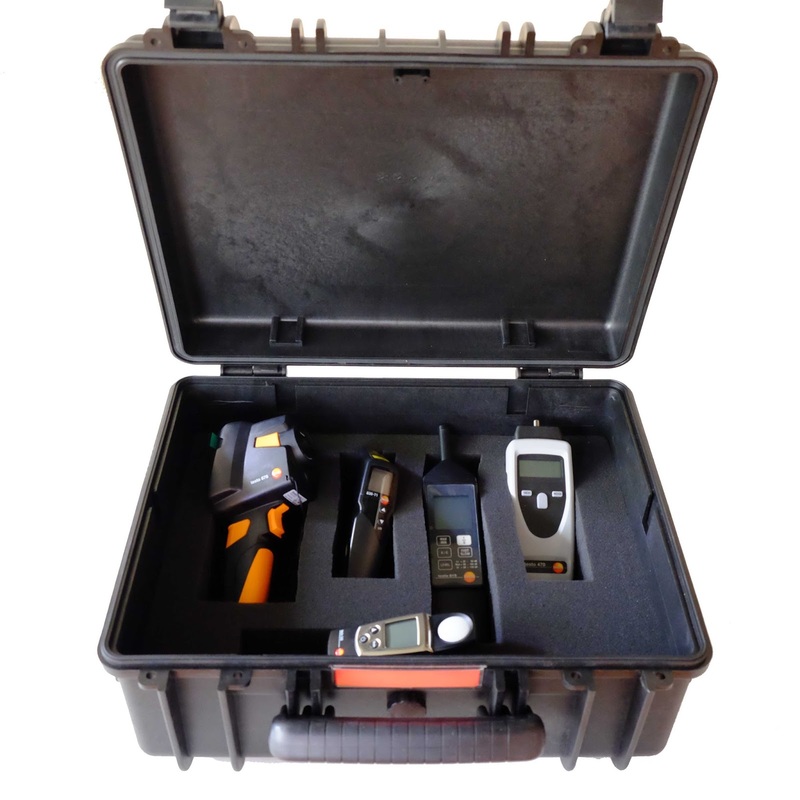 of anomalies, a follow-up spot measurement with the infrared thermometers testo 835-T1 or testo 835-T2 is recommended. from a distance with the two infrared thermometers testo 835-T2 and testo 835-T1. 870. Thanks to the IRSoft software included in delivery, you can also easily document all measurements carried out with the imager. To know more, write to us at info@testoindia.com or visit www.testo.in. In the technologically driven world, in the quest to make a mark in the global competition and acquire optimum market shares, companies need to hereby invest in efficient manufacturing processes and machines that would allow smooth functioning and run reliably. Maintenance does not necessarily imply rectifying of faults, instead is a tool to prevent any discrepancies to occur during the process of production capabilities. Maintenance tools are essential to ensure competitiveness in the industry and set a place in the forefront by aiding the maintenance personnel to minimise the downtimes, ensuring safety, preventing damage to machines and thus ensuring effective utilisation of the concerned equipment which in turn helps in attaining optimum Return On Investments (ROI) by reduced maintenance costs. Testo India understands the vital necessity of the need of the hour and launches an all NEW Maintenance Kit to enhance the maintenance functions and keep the systems running smooth to carry out the maintenance procedures to take care of the assets of the plant in the most efficient way. 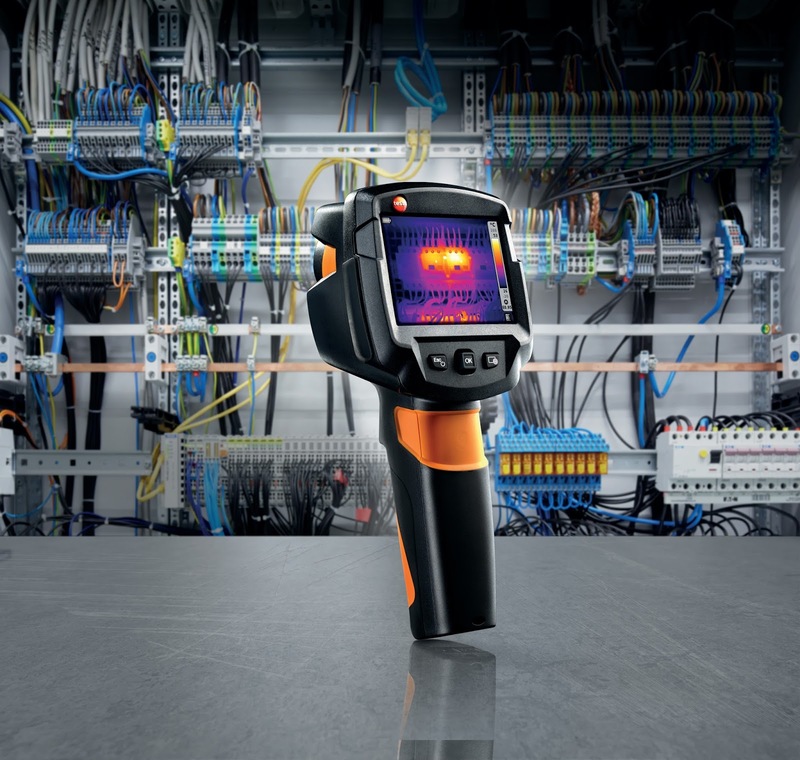 Thermal Imager testo 870-1Thermal Imager detects even the smallest temperature differences to identify anomalies in time by creating a heat profile of the components and assemblies. Compact sized RPM Meter testo 470RPM Meter measures the speed of rotation of motors, shafts, fans, and other rotating equipments. Sound level meter testo 815Sound level meter is for the measurement of noise level in industries or offices. Pocket sized lux meter testo 540Lux meter measures the illumination level for ambient working conditions. Infrared thermometer testo 830-T1IR thermometer accurately measures temperature from a distance using infrared technology, thus making temperature measurement possible even in difficult-to-reach areas or of moving objects. Digital technology has found its way into all other areas of life including the refrigeration industry too. Though the analog manifolds are still widely used, numerous studies have claimed that upto three quarters of all refrigeration systems are set up incorrectly. The digital technology is heavily replacing the traditional ways due to their better accuracy and easy legibility. A digital manifold can give up to 12.5% of energy cost savings over the traditional gadgets. Though analogue technology has proven to work reliably in the long term during the commissioning, servicing and maintenance of refrigeration systems, refrigeration engineers inspite of being traditionalists, are switching to the digital manifolds due to their incredible features and benefits. These digital manifolds such as the begineer’s testo 549 equip the refrigeration engineers to measure various operating parameters with just one instrument, saving time and ensuring reliability over the long-established analogue technology. users at all levels; from simple servicing to commissioning, etc. 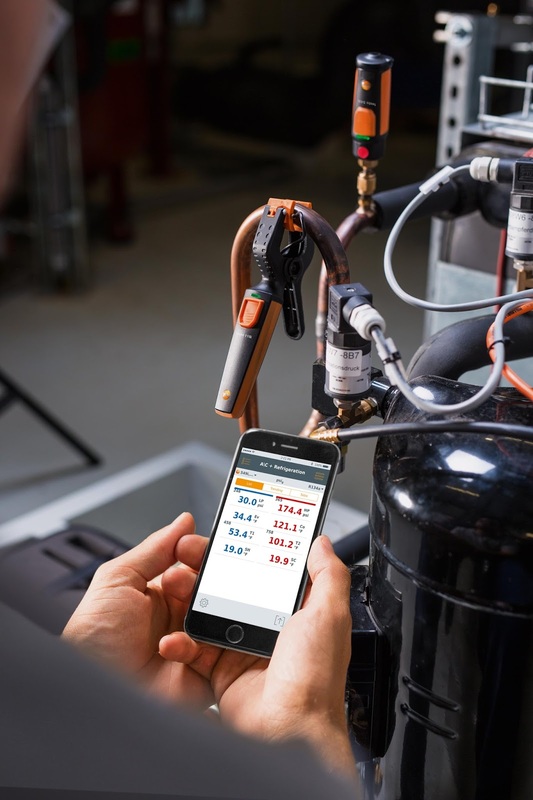 The latest advancement in the field of these digital manifolds is the Android app integration in testo’s 550 and 557 digital manifold. These manifolds with integrated app allows you to access the measurement data on your smart phone via bluetooth, where they can be read, evaluated and documented along with e-mail reporting. This definitely would be a revolution in the field of refrigeration systems since it opens up new possibilities for even more efficient analysis and documentation; also allowing the users to work more quickly and conveniently. Healthy Cooking Oil... Important ingredient for healthy food! How important is maintaining the quality of cooking oil in food industry? There is absolutely no limit to what can be tossed into deep fryer and served up to the public. However, like most things, even cooking oil ages. Use of cooking oil which is too old for deep-frying produces inferior quality of food which may also contain substances which present a risk to health. On the contrary, too early replacement of cooking oil causes wastage which directly effects your costs. Today there are quite a few solutions to inspect and maintain the quality of cooking oil in the form of measuring instruments. However, safety while using these instruments plays a significant role as it involves direct exposure to the heat from the deep-fryer during measurements. New generation technology to maintain the quality of cooking oil along with safety. The new generation of the proven cooking oil tester testo 270 helps you inspect the quality of cooking oil for producing healthy food even faster. The cooking oil tester testo 270 measures the Total Polar Material (TPM) content in the cooking oil, which is a sure indicator of its quality. 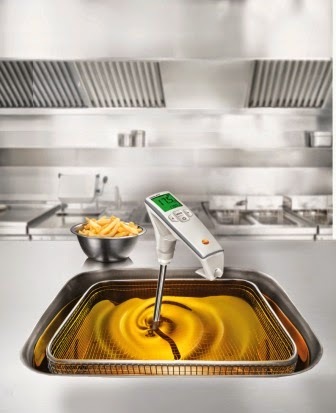 Regular measurement with the testo 270 prevents the use of oil which is too old along with preventing the wastage of cooking oil due to too early replacement thus ensuring the quality of deep-fried foods, and reducing expenditure for cooking oil by up to 20 % and therefore saving cost! The robust connections between the housing, the probe shaft and the sensor along with considerably improved probe shaft strength over the previous model makes the new testo 270 even safer. In addition to this, the measuring instrument also allows cleaning it under running water is no problem – ideal for use in quick-service restaurants. 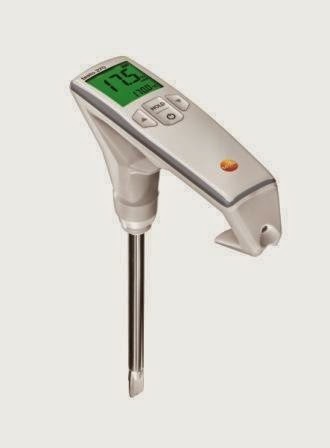 The ergonomic design of the new testo 270 protects the user by avoiding direct exposure to the heat from the deep-fryer while taking the measurement, allowing more safety. Log on to our site www.testo.in and book your free demo now! Access your measurement data anywhere, anytime!